After Casablanca, Rabat and Fez, Marrakech is the fourth largest city in Morocco. Its name means "be quick" or "travels fast". In the past this has been where they executed criminals sentenced to death and that is why Marrakech is known by the names "Rally Point end of the world" and "Starting point of the dead." Marrakech is also the city of "1001 Nights". This is the old historical capital of the African country and can be defined as a city of contrasts. Here you can see everything - from intellectuals to criminals. Around Marrakech is a long continuous wall fence around 9, 7 km. The colorful city can offer many attractions. Colorful local markets are vividly contrasted with the modern buildings of the hotel chains. Marrakech is one of the imperial cities of Morocco. 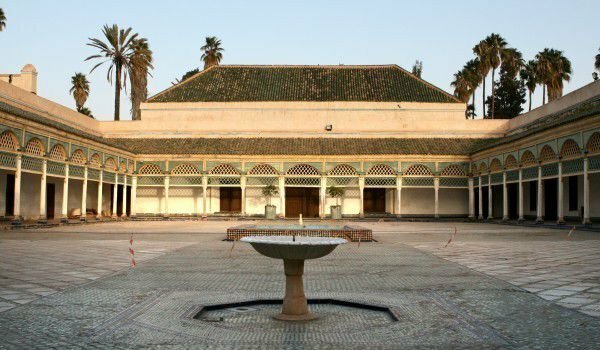 It was founded in 1062 by the first King of the Berber dynasty of Almohad. In the past, Morocco was known under the name of Marrakech, as it is still called in Iran. Medina is the commercial center of town and is the largest such in the whole of Morocco. The walls surrounding the heart of “rally point of the Dead" have a height between 8 and 10 meters and a total circumference exceeding 19 km. More than 40 000 artisans are working there, divided into different thematic areas, forming the geographic aspect of the medina. One of the tourist attractions here are the gardens of Agdal, lying south of the Royal Palace. They were created in 1156 by the Almohad dynasty and the name "Agdal" means garden and comes from Berber. Jama El Fna is a locality in the heart of Marrakech close to the mosque Kutubia. This is a remarkable place that attracts millions of visitors with hundreds of trainers of snakes and monkeys, dancers, singers, speakers and other local artists with irresistible charm for Europeans. At night the square is covered with numerous tables where locals and tourists enjoy the exclusive Moroccan cuisine. Another unique place in the city is the Botanical Garden "Jardin Majorelle", named after its founder - French painter Jacques Major. In 1919, Jacques Major went to live in the medina of Marrakech, and inevitably falls in love with the lights, noise, smell, architecture and people of the city of 1001 nights. Starting from a palm tree in 1922 he created a botanical garden around the villa with hundreds of species of exotic plants and birds from around the world.